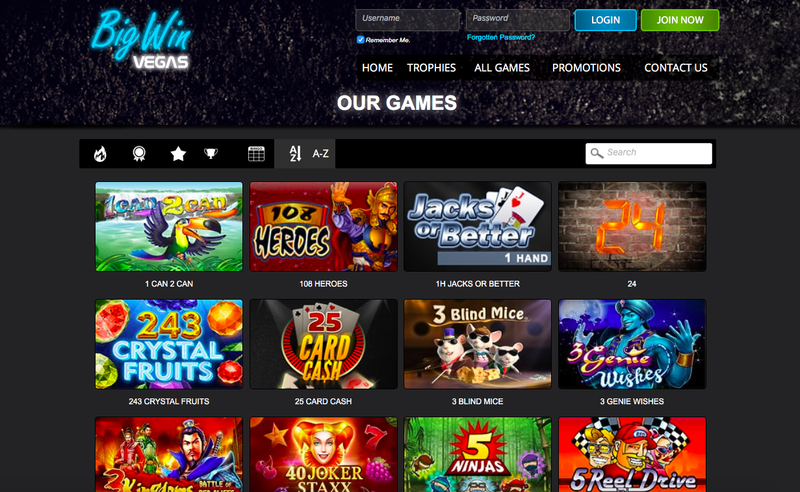 Released in 2018, Big Win Vegas is a fairly new online casino site that has a lot to prove, as any new site does, if it is going to stand up against its rivals in the highly competitive online casino industry. However, there are a couple of issues with this site that must be immediately addressed. The first issue is one that a few sites have, that’s clearly supposed to be cute, but is not. If you access a tab away from Big Win Vegas, the casino’s tab calls you back, saying “Hey” and “Come Back”. Clearly this is supposed to be an adorable thing, but with the iGaming industry as focused as it is on the protection of vulnerable gamblers and to ensure nobody feels forced to play, it’s, at best, a badly thought out plan. 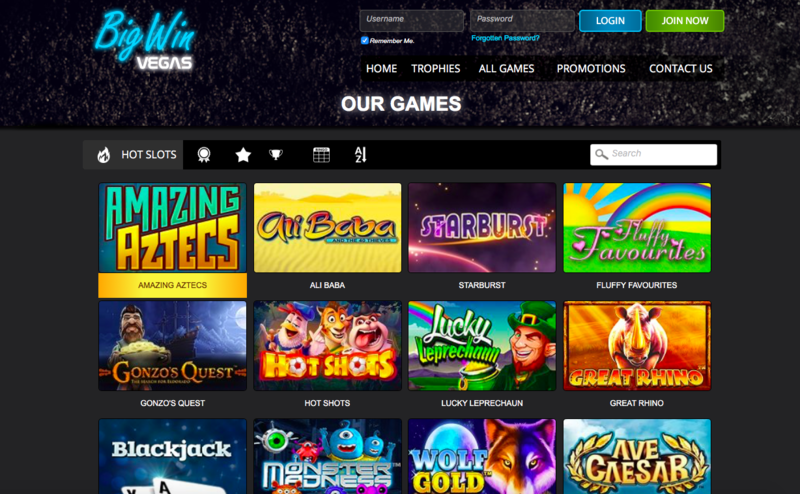 The other issue with Big Win Vegas is its name, this is a brand-new online casino, and t’s entering the market with a name that would have felt outdated twenty years ago. Vegas is a place that has casinos, we all understand that, it’s undoubtedly famous for them, but the theme has been worn dry for so long now that it’s impossible to get in any way excited by a new site with it. So, it’s fair to say that Big Win Vegas is off to a bad start, but can it improve its chances? When it comes to online casino sites with the world Vegas in their name, and it’s nigh on impossible to count how many of those there are at this point, there is a design concept that usually comes attached, and that is a black and gold colour scheme. Pleasingly, Big Win Vegas does not utilise this same approach, but unfortunately, it somehow has a worse look. Neon colours appear throughout the site in the logo and the advertising of available promotions, and beyond that there is a black background with various styles that are clearly supposed to be aesthetically pleasing but miss the mark by so much that if the name of the casino was simply typed in Times New Roman across a white screen this would have been a nicer site to look at. Big Win Vegas offers navigational tools which make it easy enough to find your way around the site, but that isn’t really enough to make any difference when you take in how simply dismal the site looks. It’s fair to say that the games have a lot to make up for here, and it is a testament to the collection that is available that it isn’t immediately clear that they don’t. With titles coming from the likes of 1X2 Network, Core Gaming, ELK Studios, Eyecon, Gamevy, Genii, IWG, iSoftBet, Microgaming, NetEnt, NextGen Gaming, PariPlay, Playson, SG Digital, and Yggdrasil, there’s undoubtedly a lot on offer here, but is there enough? The focus here is mainly on slots, and there are more of them than one could possibly know what to do with, you could be signed up to the Big Win Vegas site for years and ever get through them all. However, if slots aren’t your thing, there’s less on offer. There are a few table and card games, and even a handful of bingo games thrown in for good measure, but beyond that there’s little to find. The selection of slots available here is certainly enough for the majority of slot fans, but the truth of the matter is, there are many other sites which offer a similar selection, a better range of alternative games, and a much better theme and design, it’s worth checking them out instead.